Swiss driver Simona De Silvestro will join the Virgin Australia Supercars Championship in 2017. Supercars Chief Executive James Warburton said the 28-year-old former IndyCar and Formula E driver had signed a three-year agreement to race in Supercars. De Silvestro raced in last year's Supercheap Auto Bathurst 1000 and will return to Mount Panorama for this October's race as part of the Harvey Norman Supergirls with Australian driver Renee Gracie racing for Nissan Motorsport. "This is an exciting announcement for the sport and a major coup for Supercars," Warburton said. "We said we wanted to have a full-time female driver in our championship and in Simona we have secured a world class driver. "Along with Danica Patrick and Sarah Fisher she is one of only three female drivers to have stood on the podium in IndyCar and she will be a brilliant addition to Supercars. “I want to thank Harvey Norman CEO Katie Page for their support of the Harvey Norman Supergirls and the South Australian Government for its support in making this happen. 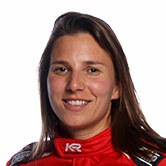 De Silvestro said she was excited to be joining the Virgin Australia Supercars Championship full-time from 2017. “I had my first taste of driving these cars last year at the Bathurst 1000. It was such an incredible experience and I knew this could be a goal for the future,” she said. “That this goal became reality so quickly is fantastic and I have to thank James Warburton for believing in me and wanting me in Supercars. This is going to be my first full-time year with a closed top car and there a lot of new things for me to learn and adapt to. “I am very respectful towards this new challenge but at the same time I am very excited about driving in such a competitive championship. I can’t wait to jump in the car to work towards getting the most out of these cars. South Australia’s Tourism Minister Leon Bignell said having Simona sign on for three years was brilliant news for one of the most exciting events in South Australia’s sporting calendar. “Simona is renowned for breaking records. This year she became the first female driver to score points in Formula E in Long Beach,” he said. The Clipsal 500 Adelaide is one of the biggest motorsport events in Australia, attracting 263,500 visitors and pumping more than $40 million into the SA visitor economy in 2016. Nissan Motorsport Team Owner Todd Kelly said it was looking forward to having De Silvestro as part of the all-female team at Bathurst. 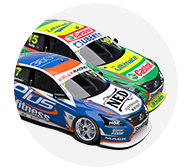 "It’s really exciting to have a fifth Altima running at Bathurst this year. When we heard that the wildcard was available, we jumped at it. We know what it’s like to run the wildcard at Bathurst, and have done it well in the past, so we’re confident we can do a good job,” he said.